Kipling Camp was established in the year 1982 by Bob and Anne Wright. It was the first tourist resort to be established in Kanha National Park. 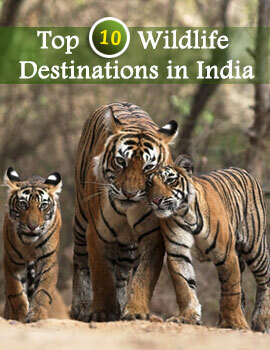 The resort is located in the buffer zone of the Kanha National Park just outside the Village Mocha. Kipling Camp features 18 double suite rooms and 1 family cottage. Each spacious cottage has a private porch. The rooms are tastefully done and feature modern room amenities and have an attached bathroom. Kipling Camp has a multi-cuisine restaurant and a bar named Shamiana. Lunches and dinners are served at the Camp. The menu comprises of Western and Indian cuisine. The Refreshment Bar at Shamiana is stocked with an assortment of alcoholic beverages. There's lots to do at Kipling Camp. Spend a day with a book on wildlife or fiction from the well-stocked library. Play volleyball or explore the Souvenir shop. Watch wildlife films and documentaries including 'Land of the Tiger' that are screened every evening. Go on jungle safaris in the camp's three open-topped 4WD Maruti Gypsies. The nearest town to Kipling Camp is Mandla. The nearest airport and railway station are at Jabalpur. The park is entered from either Khatia-Kisli and Mukki. Frequent state transport buses ply between Jabalpur and Kanha National Park.